Summary: Find out what the most popular 20 articles were in 2015 on BCG Attorney Search in this article. Have you made your New Year’s resolutions for 2016? When you do, chances are you will include something about your legal job or career. If you are a partner, maybe you will resolve to bring in more business. If you are an associate or law student, perhaps you will resolve to be more successful at your existing job or land the best possible law firm position for your first job as a lawyer. If you are an attorney feeling a sense of burnout, maybe you plan to make 2016 the year you go in-house, join a “lifestyle” firm or even leave the practice of law altogether. What was your New Year's resolution for 2016? Did you end up following through with it? 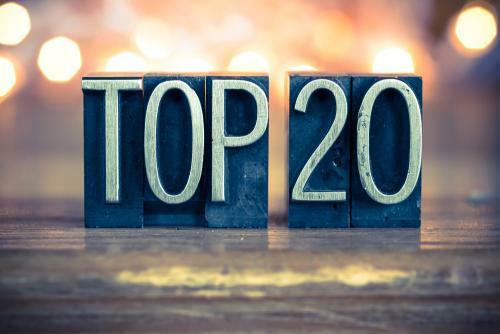 We have compiled the following list of BCG’s top 20 articles of 2015. These articles cover topics that reach across the legal profession and focus on areas of interest to attorneys and aspiring attorneys at all stages of their careers. We encourage you to take a look at this list of articles and see whether one or more might contain the insight you need to make 2016 the most fulfilling and accomplished year yet of your legal career. We’ve all heard the titles bandied about – equity partner, of counsel and non-equity partner – but what do these titles really mean? This article lays it all out, covering the central roles and characteristics of each position and giving real world insight into the pecking orders at some of the world’s top firms. This article is a perfect resource for attorneys who want to better understand (and excel at!) law firm power dynamics. If you skipped over our article above about law firm partner positions because you cannot see yourself sticking around long enough for it to matter, then this might be the article for you. This article covers reasons why you may not be fit for practicing law and also suggests reasons why you might actually enjoy practicing law if you found a different environment to do it in. This article will help you sort through ambivalent feelings you might be having about your legal career so you can make an appropriate new year’s resolution about possibly quitting the practice of law. Have you considered quitting the practice of law? If so, why? If you are one of the many law firm attorneys who fantasizes about “going in-house,” please take a look at this article before making any hard and fast resolutions to become an in-house lawyer in 2016. As this article explains, the reality is that the grass is not always greener inside the walls of your firm’s clients – even if it may look that way to you at times – and in fact going in-house can often be a career killer. As both our third and fourth most viewed articles involve the topic of going in-house, it is safe to assume that many of our readers might be resolving to move in-house in 2016. If you are one of them, please read this article as well as the one above. While going in-house might be the right decision for some lawyers, it is likely the wrong decision for many others. 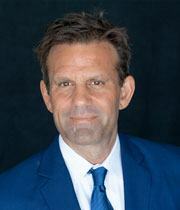 There are many “dark” downsides of going in-house, including the fact that it is extremely difficult to get another law firm job once you have gone in-house, that the overwhelming majority of attorneys do not reap economic windfalls when they go in-house, and that your legal skills are likely to deteriorate once you go in-house. This article gives you ten essential tips you need to thrive in the most rigorous legal environments. The article clues you in to the biggest mistakes lawyers make in law firms, such as getting psyched out, not billing enough hours and joining branch offices. If your 2016 resolution is to practice law successfully among the cream of the crop at the biggest and best law firms, you need to make sure that you avoid making the costly mistakes described in this article. If you want to be truly successful in a law firm environment, you need to be fully committed to that goal. For some reason, this very important lesson is either not taught in law school or not taught properly, as we continue to see promising attorneys fail in firms because they do not understand the nature of the commitment required to excel. This article will tell you why you should write “Ramp Up My Commitment Level!” on your new year’s resolution list. This article is for those lawyers who have five or more years of experience of working in a law firm … but are lagging behind and experiencing career stagnation due to having no business. This article explains why such attorneys are at a career pivot point and need to proceed in one of seven directions in order to get their careers back on track and ensure their livelihoods. Lawyers in this situation should resolve in 2016 to move forward in one of those seven directions. If you work in a large law firm, you know that stress is part of your daily existence. But did you ever think that it might even be more stressful than spending time as a prisoner of war? You’ll think about it after reading this article, as well as about the reasons why certain people may be more inclined to tough it out than others. Has practicing law been very stressful for you? If so, in what ways? If looking for a new job is on your resolutions list for 2016, you should pay close attention to information in this article. Many job seekers view the provision of a writing sample as a secondary element of the job search process, but in fact writing samples are important factors in hiring decisions and even a few typos can serve as the basis for a firm to not hire a candidate with otherwise great credentials. This article sets out the major mistakes to avoid in your writing samples and covers frequently asked questions such as page length and the best way to handle confidential material. If the article above about writing samples caught your eye, then you will probably also be interested in this one about interviews. Law firm interviews are key parts of the job selection process. A knock-it-out-of-the-park interview can be your springboard to a terrific new job. This article assembles tips on the interview process and includes interview etiquette, topics you should be prepared to discuss during interviews, how to handle lunch interviews, and more. Have you ever wondered what law firms really care about when they make their hiring decisions? This article boils it all down to three essential questions that can make or break careers depending on how they are answered. Find out what the questions are and how to make sure you present yourself to potential employers so that you answer the questions in the ways that get you hired. If you want a job at a great firm in 2016, you need to resolve to redo your resume according to the rules set out in this article, including removing personal details and irrelevant information. This article covers everything you need to know about how to draft a resume. Among other things, it covers why you should generally avoid listing anything that relates to your race, religion, pro-feminist leanings, socialist leanings, political affiliation or sexual orientation, and why you need to be very ordinary when it comes to picking fonts and formatting styles. Do you feel you need to redo your resume? What are some areas that you hope to work on? “Generate More Business!” should be very high on your list of resolutions if you aspire to rise up through the ranks of the legal profession. This article covers nine ways you can generate business as an attorney. Insights include always remembering that every person you meet might one day become your client, the importance of being interested in others and their legal problems, and the need to get out and forge new relationships that can lead to business. For those attorneys who are still considering whether or not to jump ship and pursue another career, take a few minutes to consider the information in this article. This article breaks down the key considerations you need to address when deciding whether or not you should leave the practice of law. If legal job searching is on your list of things to do in 2016, this article will help put you in the right frame of mind for expanding your options. Law degrees are becoming increasingly portable – and an increasing number of jurisdictions are making changes to the bar exam and admission policies that make it easier for out-of-state attorneys to practice there. This article provides the latest information on reciprocity and explains the benefits of multiple admissions. A great legal recruiter can be instrumental in helping you get your ideal job, whereas a not-so-great legal recruiter can at best not help you do this and at worse jeopardize this. But how can you tell the difference between a great and a not-so-great recruiter? This article tells you how to evaluate legal recruiters and make sure you only work with top-quality recruiters who are ethical, capable and have the resources to actually make a positive difference in your job search. What do possessing a special legal skill, practicing for more years, making time for outside speaking engagements, and having business all have in common? They are all ways that you can maximize your chances of moving to a better law firm and/or getting a better attorney job. We recommend this article to anyone who plans on “moving up” in the legal profession in 2016! Many eager job seekers have been in this exact nerve-wracking situation. But is the stress really indicated by the circumstances? This popular Q&A article fleshes out how to best handle “waiting on a response” to your post-interview email. If you are unhappy with your current law firm situation, you have probably had more than a few daydreams about the “lifestyle” firm you could join and have an allegedly perfect life working at. But just as many attorneys who go in-house end up disappointed, many attorneys also find themselves disillusioned when they leave their firms and go to supposed lifestyle firms. Have you ever noticed the similarity between law firms and blue-collar labor unions? This article sets out the ways in which these seemingly different institutions are actually very much alike. Moreover, the article gives insight into how the same tips that can lead to the success of a union plumber can also lead to the success of a large law firm lawyer. What were some of your favorite BCG articles from 2016?